Today’s post is an article written by Blanche Layne Baldauf about her school days of the early 1900’s. 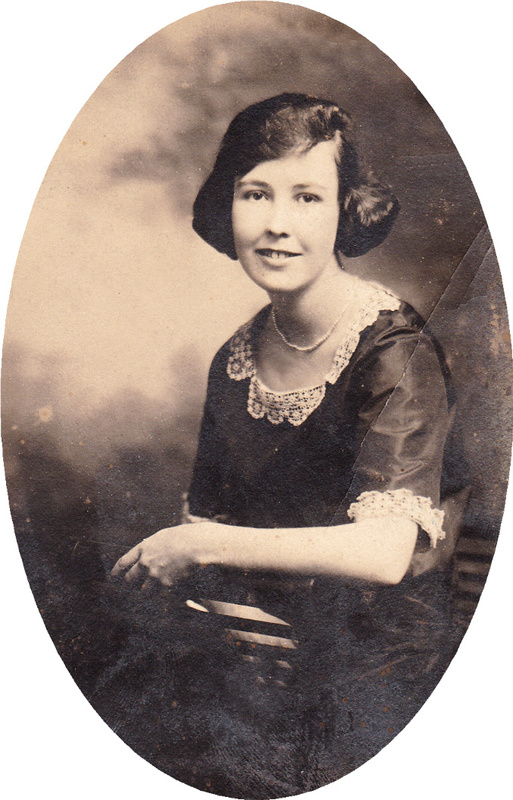 Ms. Baldauf was born in 1892 and was a member of the graduating class of Cardwell High School in 1911-1912. Should school days be forgotten and never brought to mind, especially school days at old Cardwell? I do not think so, for they were light, happy days brimming full of laughter, work and play. I wonder as I wander back down memory’s lane at the many changes time has wrought. 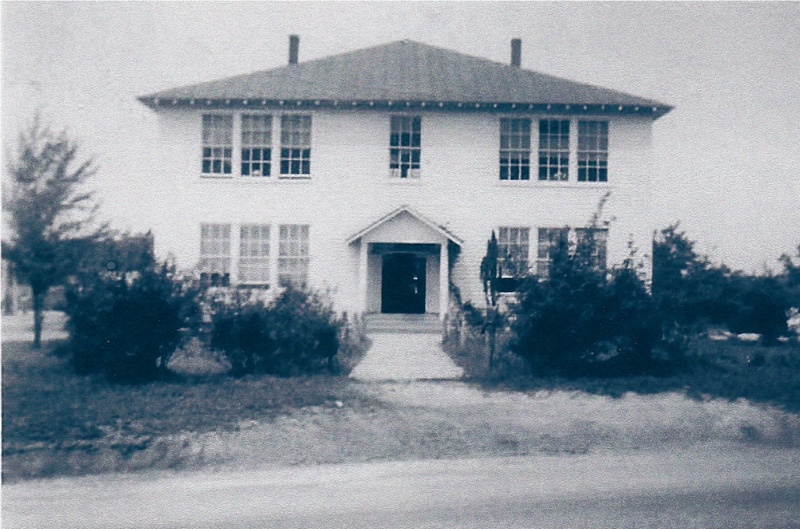 The white, two-story frame building is gone and the present modern elementary school stands in its place. The line of school busses brings to mind the days I trudged two and a half miles through rain, sleet and snow to school and then had to take about half an hour to thaw out my fingers and toes by a wood stove. Most of the students walked to school, a few came by horse and buggy. I remember one girl who rode a donkey from Goochland every day. Many times I had to hurry to get to school by the time the bell rang for I did not like to be late. High school classes were held on the second floor of the building. Desks seated two and we always chose our desk-mates. Mr. Charles Burr and Mr. Francis Bear were the principles who guided us through High School. We had excellent teachers and were fond of them and tried hard to please them. Discipline problems were few. English, Latin, algebra and geometry kept us busy. Much home work was given us, which was done in the evenings usually by the light of an oil lamp before a big open wood fire. There was no cafeteria then, so students had to take their lunches. We always enjoyed sitting around in groups at lunch time chatting and eating. Lunch boxes contained a variety of things, biscuits, preserves, sausage, a bottle of molasses, a sweet potato, a cup of beans, and maybe a rabbit leg or piece of chicken. It was a treat to go up to M.S. Bowles store at lunch time for candy and cakes. The highlight of the school week was the Literary Society meeting, which was held on Friday evening. We often took our supper with us to school and a group would stay at school for the program, and afterwards walk by lantern light to a party or dance in the community. The program consisted of Cardwell news, though there were no telephones in the community then, and debates. We had many lively debates and one especially I remember was “Resolved That the Farmer has a Harder time than the Farmer’s Wife”. It was lots of fun. Then on a bright spring morning, DeEtte Lowry Keeton and I, all dolled-up and feeling very important, boarded the train at the State Farm for a trip to Cartersville to debate at Hamilton High School. We were met at the station and taken in a hack to the home of Miss Meyland Irving, now Mrs. Flemming, where we spent the weekend. The subject of our debate was “Resolved that Women Should be Given the Right to Vote in Virginia”. We had the negative side and lost: but were told by many that we should have won. The judges were all from Cartersville. For entertainment, there were drills, plays, and box parties. At the box parties, school girls would decorate beautiful boxes and fill them with goodies, enough for two in a box. The boys would bid on the boxes which went to the highest bidder and the girl would eat with the boy who got her box. There was much competition, and boxes often went high. Also, there was usually a cake for the prettiest girl. The proceeds went to the school. The Class of 1911-1912 consisted of four girls and one boy; namely Everett Bowles, Anna Cottrell, Ida Bowles, Lillian Taylor and Blanche Layne. Graduation exercises were held in old Salem Church as the school did not have an auditorium. Everett gave the salutation, Lillian the class poem, Ida the prophecy, and Anna the valedictory, and I gave the history. The Class had the pleasure of graduating twice-first when the school was a 3-year High School and the next year when it became a 4-year High School. So we graduated twice. Much of Ida’s prophecy was fulfilled. Everett became a farmer, Ida and Anna taught for a while and then became home-makers. Though I never taught in college as Ida predicted, I did teach in the public schools of Virginia for a number of years, and then at Beaumont School for Boys. Later I joined the staff of the State Industrial Farm for Women where I served as Parole Officer and Assistant Superintendent until I retired. So we have come a long way since those school days of by-gone years. But I wonder if the students of today are happier or better adjusted than we were. I just wonder.